AMERICAN SOLDIERS ARE ILL AND DYING OF MYSTERIOUS ILLNESS - IS IT DEPLETED URANIUM POISONGIN? Title: AMERICAN SOLDIERS ARE ILL AND DYING OF "MYSTERIOUS ILLNESS" -- IS IT DEPLETED URANIUM POISONING? Subtitle: The answer is a qualified "Yes!" American troops are beginning to show symptoms of Depleted Uranium poisoning, a situation being magnified by the heat in which they are operating. From Gulf War I, fully 75% of our fighting men who were on the ground are now dead, dying, or sick from Depleted Uranium. Some of our precious American soldiers have died under "mysterious circumstances" while serving in Iraq. Families are awaiting official answers, which hopefully will be more forthcoming than for the families of Gulf War I veterans who have been labeled as suffering from "Gulf War Syndrome", a condition now believed to be Depleted Uranium Poisoning. "Missouri National Guard Spc. Josh Neusche, 20, died Saturday at the Homburg Hospital in Germany from a mysterious illness. A member of the 203rd Engineer Battalion, he is the only Missouri National Guardsman on the Department of Defense's casualty list. Family and friends are awaiting the soldier's body, scheduled to arrive Thursday in the United States. They are also waiting for autopsy results, and his parents, Mark and Cindy Neusche, are calling for an investigation." "He's always been healthy,' Mark Neusche said ... he's a cross-country runner. There's no reason for a boy of his health to deteriorate so quickly. 'Cindy Neusche said her son collapsed July 2 while in Baghdad and was transported to Germany. Doctors there told the family they believed Josh suffered from pneumonia due to fluid that had collected on his lungs. But then his liver, kidneys and muscles started to break down ..."
NEWS BRIEF: "Mysterious Diseases Haunt U.S. 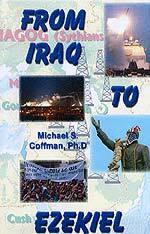 Troops In Iraq", IslamOnline.net, http://www.islamonline.net/English/News/2003-07/17/article03.shtml, July 18, 2003. "BAGHDAD, July 17 (IslamOnline.net & News Agencies)  Several mysterious diseases were reported among a number of American troops within the vicinity of Baghdad airport, a military source closely close to NATO unveiled. U.S. soldiers deployed around Baghdad airport started showing symptoms of mysterious fever, itching, scars and dark brown spots on the skin, the source, who refused to be named, said in statements published Thursday, July 17, by the Saudi Al-Watan newspaper. He asserted that three soldiers who suffered these symptoms did not respond to medical treatment in Iraqi hospitals and were flown to Washington for medication. 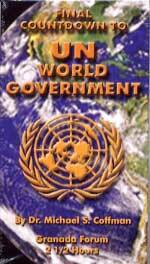 The military source reported a media blackout by U.S. officials to hide such information from the public." Let us stop right here to digest what we have just heard. American troops are said to be getting sick in the vicinity of the Baghdad airport, the very same place where Josh Neusche suddenly collapsed and died. In this article, we heard that the Neusche is awaiting an official explanation from the military, but in this second article, we read that our command has imposed a "media blackout ... to hide such information from the public." That sounds a lot like the response from our government to the veterans of Gulf War I. 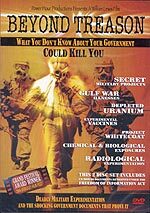 "U.S. officials did not come up with an explanation for the symptoms, which NATO experts tend to believe result from direct exposure to powerful nuclear radiations of the sophisticated B-2 bombs used in the war on Iraq, particularly in striking Iraqi Republican Guards forces who deployed to defend the vicinity of Baghdad airport. The military source stressed that the shrouds of secrecy imposed by American officials on the issue were prompted by fears of creating waves of panic and anger among the troops, particularly after announcements that American troops would remain in Iraq indefinitely. He asserted that NATO experts measured levels of radioactive pollution in Iraq and confirmed there were levels of radioactive pollution with destructive impacts on man and environment that may lead to risks suffered by generations to come. On April 25, the British Observer quoted military sources as affirming that depleted uranium shells and bombs used by U.S. and British troops during Iraq invasion were five times more than the number used during 1991 Gulf war." 2. Therefore, these men are likely to come down really sick much faster than the veterans of Gulf War I, who were pulled out of the theater quickly after fighting a "100 hour war"; for these earlier veterans, their exposure to DU was much more limited, and it has taken the last 12 years for them to either die or come down with the symptoms. Yet, today, 75% of the men who were on the ground in Gulf War I are now either dead, dying or exhibiting symptoms consistent with DU. Since April 9, Coalition Forces have been working, and fighting, daily in grueling heat, wearing very hot combat suits that are bulletproof. Since April 9 -- approximately 3 1/2 months -- our forces have been daily breathing in the radioactive dust swirling around the countryside and in the cities. Whenever a strong wind comes up, and especially when one of those monster dust storms strike, that radioactive dust goes airborne -- even though it is heavier than normal dust -- and can be carried for hundreds of miles. One need not necessarily be adjacent to a battlefield to be exposed to radioactive dust. Now, some of our men are getting sick, showing symptoms consistent with depleted uranium poisoning. We cannot know how many men are affected, nor how this sickness has affected fighting morale. If this sickness becomes widespread and if many more men start dropping dead, our fighting efficiency could erode in a hurry, and just might tempt Saddam to come back fighting with all those men and all that sophisticated equipment he refused to commit to battle originally. In this scenario, time is Saddam's friend and our deadly enemy. NEWS BRIEF: "The Current Health Situation in Iraq", IslamOnline.com, August 24, 2003. "According to the World Health Organization, the health risks of depleted uranium include: damage to kidney functions (chemical toxicity), possible higher risk of lung cancer and bone cancer (radiological toxicity), and the need for more information regarding the incidence of leukemia. As far as chemotherapy is concerned, there are insufficient drugs available (even if people could afford them) or the hospital receives only partial components of a chemotherapy protocol, which renders it useless (Europa). Although the incidence of cancer has risen sharply following the war the most effective painkiller, morphine, used to ease the pain of cancer patients has been banned by the Security Council." Remember our first article about Josh from Missouri, who collapsed in Baghdad and was flown to Germany? After doctors began treating him for pnuemonia, "... his liver, kidneys and muscles started to break down ..." This death and the symptoms reportedly affecting our sick soldiers, are consistent with depleted uranium poisoning. The Iraqi people are suffering from Depleted Uranium poisoning, beginning with the nuclear war we waged against them in 1991 and continuing to the present time. More than any other factor, I believe it likely that this poisoning of the Iraqis in 1991 is the most important reason the Iraqis have not welcomed us as "liberators" with open arms. This poisoning is likely the motivating factor behind the determination to fight a guerilla war in the heat of the summer against a foe that, while he is superior on the battlefield, is dying slowing in the heat, being taken down by poisoning and dehydration as he fights a guerilla enemy. "Australian servicemen and women who served in the recent Iraq war were reporting symptoms of uranium sickness, a United States nuclear weapons expert said ... Speaking in Melbourne on Monday, Dr Rokke said Iraqi women and children and American and Iraqi military personnel had reported respiratory illnesses and rashes after the recent conflict, and he had also been told of Australian servicemen and women with similar symptoms. "That's the reports I received from the US Army medical department ... "
"Soldiers returning from the Gulf will be offered tests to check levels of depleted uranium in their bodies to assess whether they are in danger of suffering kidney damage and lung cancer as a result of exposure, the Ministry of Defence said last night. The ministry was responding to a warning earlier in the day from the Royal Society, Britain's premier scientific body, that soldiers and civilians might be exposed to dangerous levels ... "It is essential that we measure exposures in a sample of soldiers across the battlefield, not just those who may have had substantial exposures, but also foot soldiers and field hospital staff across Iraq." "U.S and British troops deployed to the area are the walking dead." "Depleted Uranium -- If you or a family member has been injured, contact a personal injury attorney today. Just fill out InjuryBoard.com's on-line questionnaire and have a personal injury lawyer review your potential personal injury claim - free of charge. -- For many years, western militaries, including the United States', have used shells that are tipped with depleted uranium. Depleted uranium is one of the heaviest metals, and it is this characteristic that allows shells tipped with the substance to penetrate heavily armored tanks and bunkers. "During the Persian Gulf War over 900,000 shells containing depleted uranium were fired. Additionally, in the Balkan crisis over 40,000 shells containing the substance were used. Upon impact the shells explode creating dust that is contaminated with depleted uranium. When the legal vultures start to circle, you know you are facing a hard reality. Of course, we may be certain of one thing: the U.S. military and government will continue to stonewall and deny, deny, deny -- just as they did with Gulf War I veterans and their families. In NEWS1804 entitled, "Is The U.S. Fulfilling Judgments Against Iraq (Babylon) Found In Isaiah 13"?, we noted that the destruction of Ancient Babylon occurred in stages after the Medo-Persians conquered the country. The destruction of the city of Ancient Babylon was prophesied to be so permanent that it would be like the permanent destruction delivered by Sodom and Gomorrah. Therefore, the Ancient City of Babylon could not now be rebuilt, for God said it would be a forever destruction. "And Jeremiah said to Seraiah, When you come to Babylon, see to it that you read all these words. Then say, O Lord, You have spoken concerning this place that it shall be cut off, so that nothing shall remain and dwell in it, neither man nor beast; but it shall be desolate forever." The Amplified Bible Commentary speaks to the aspect of a destruction as complete and permanent as Sodom and Gomorrah, even though the process took a great many years. 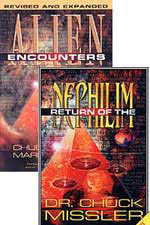 Some modern Bible expositors -- most of them Bush enthusiasts -- have arisen to declare that Ancient Babylon, the city, will be rebuilt and will rise to such power and economic strength that she will be the economic engine of the world during the time of Antichrist, just as Revelation 18 foretells. When the time for Babylon's final destruction comes, that judgment will be as sudden and devastating as Sodom and Gomorrah. But, during the time of Antichrist, mighty Ancient Babylon will reign supremely over all the earth and will be the economic engine of the earth. Since people are routinely living 80+ years now, you would add this figure to the time Israel began to "put forth her tender shoots". If you choose 1948 as the starting date, that means that the "generation - life span -- time frame will expire no later than 2028, just 25 years from now. However, historians will tell you that the moment the return of Israel back to her land was the Balfour Declaration of 1917; adding 80 to 1917 equals 1997, so we may be right in the middle of this prophesied period right now. But, even if the date is 2028, there is no reason on earth to think that a scrubby, dirt-bag of town called Ancient Babylon could ever become a city economically powerful enough to drive the economies of the whole world in just 25 years! While Saddam has rebuilt a lot of Ancient Babylon, the amount of the city he has rebuilt is still very small. 3. Ancient Babylon is sitting just 20 miles away from a most poisoned Baghdad! According to this medical doctor in a foreign military, the entire land of Iraq is likely to be poisoned with Depleted Uranium over a relatively short period of time. How likely is it, do you think, that a powerful city will be rebuilt when it lies in the midst of a poisoned land, inhabited by a poisoned people? To try to ascertain the extent to which our soldiers might be poisoned, you only need to look at Gulf War I, where 75% of our soldiers on the ground are now suffering depleted uranium poisoning. With our current soldiers fighting a guerilla war in very, very hot conditions that create dehydration, they are likely to come down very sick -- with a number of them very dead -- in a much shorter period of time. American families who have loved ones in Iraq need to be demanding some very honest answers. If you do not believe that we are telling the truth, or that we are exaggerating, just go to a search engine and type in "Depleted Uranium"; when I did this in Google, I got 122,000 hits. The truth is out there for anyone who is really interested in discovering it.